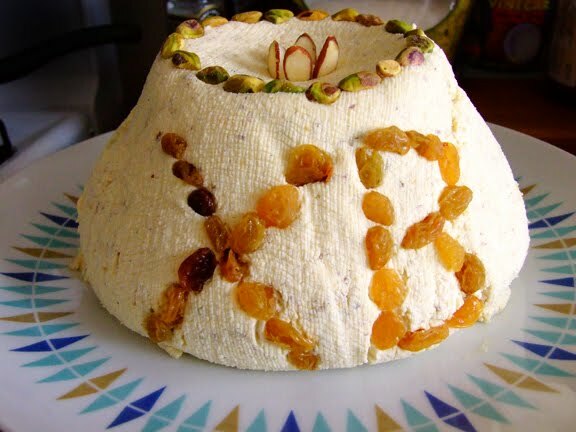 Pashka - or "pasha" - is a sweetened fresh cheese mold made for Russian Orthodox Easter. Tasting something like cheesecake, contemporary Pashka recipes often combine cream cheese and farmer's cheese (the driest form of cottage cheese).Pashka is properly packed into a special mold that shapes it into a pyramid embossed with the letters "XB," which stands for Khristos voskres ("Christ has risen"). 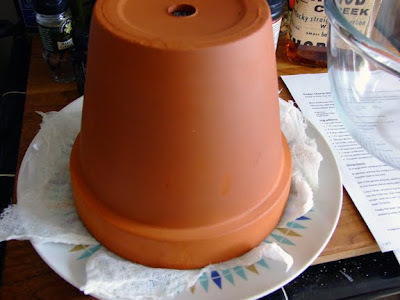 A clay flowerpot has become the modern stand-in for the metal mold. 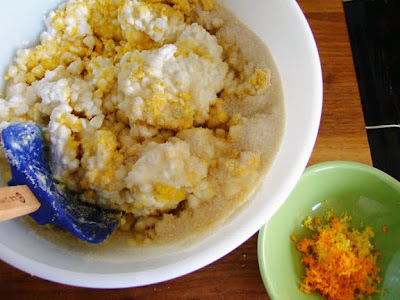 Pashka is generally eaten spread on a very lightly sweet yeast cake called kulich. If you can't find kulich (or babka), the Pashka is delicious spread on other eggy yeast breads, such as challah and brioche. But you can't beat a good dollop on a fresh strawberry. 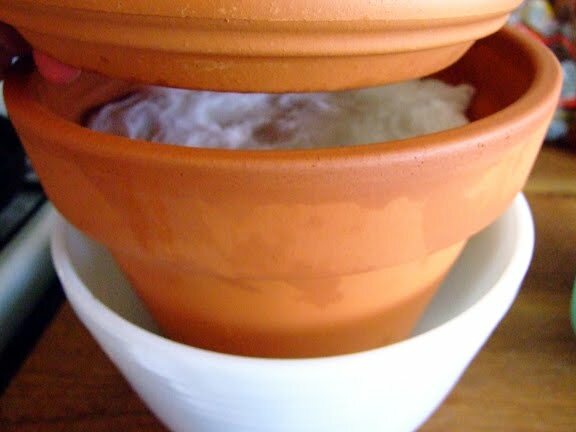 Line a clean, unused 8-cup flower pot (7x7) with a double layer of rinsed and squeezed-dry cheesecloth. Spoon the cheese mixture into the lined pan, then fold the ends of the cheesecloth neatly over the top. 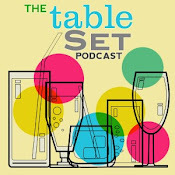 Place a saucer on the cheesecloth, then a 2-pound weight, such as a can, on the saucer. Put the flower pot in a bowl for any liquid to drain into. Refrigerate for at least 12 hours. Empty the bowl. 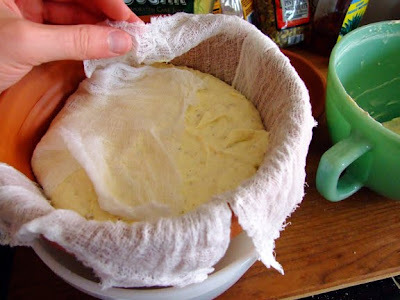 Unmold the pashka onto a serving plate and carefully remove the cheesecloth. Decorate with candied fruit, pressing some of the fruit into the pashka to form the letters XB, which stands for Khristos voskres ("Christ has risen"). 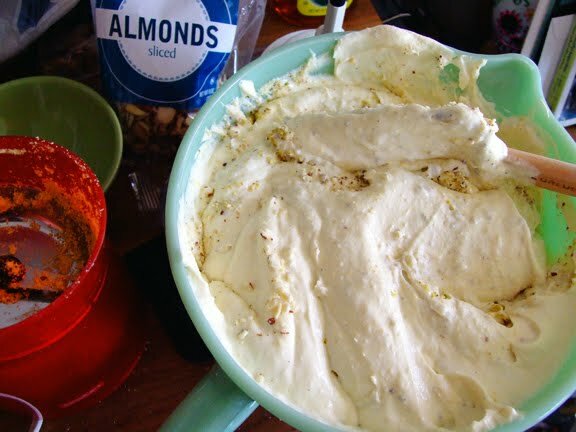 Serve with strawberries and/or challah bread. Pashka will hold up chilled in the refrigerator, well wrapped, for up to two weeks. But it is best enjoyed at a temperature closer to room temperature.